Even before she was cast on RuPaul‘s Drag Race season 9, New York drag performer Alexis Michelle had the internet gagging with her looks and talents. 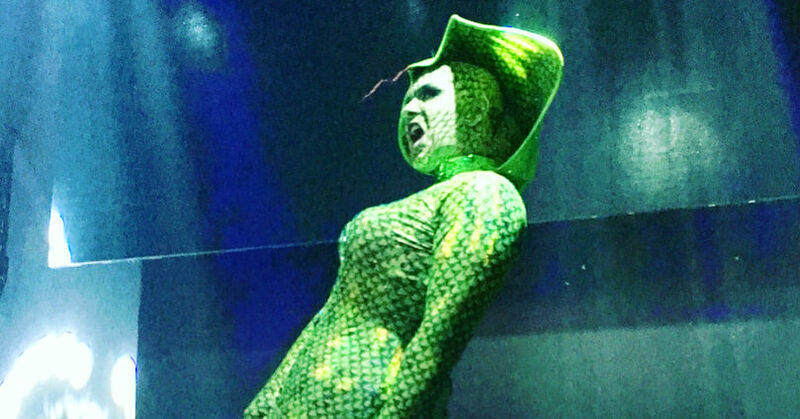 This past Sunday, the crowd at Stage 48 in NYC went wild for Alexis as she stepped on stage in her one-of-a-kind Halloween look: a stunning custom snake gown by NYC fashion designer Florence D’Lee that left us awestruck. Get your life by checking out photos of the look below, and then share a photo of your favorite Drag Race Halloween look in the comments.